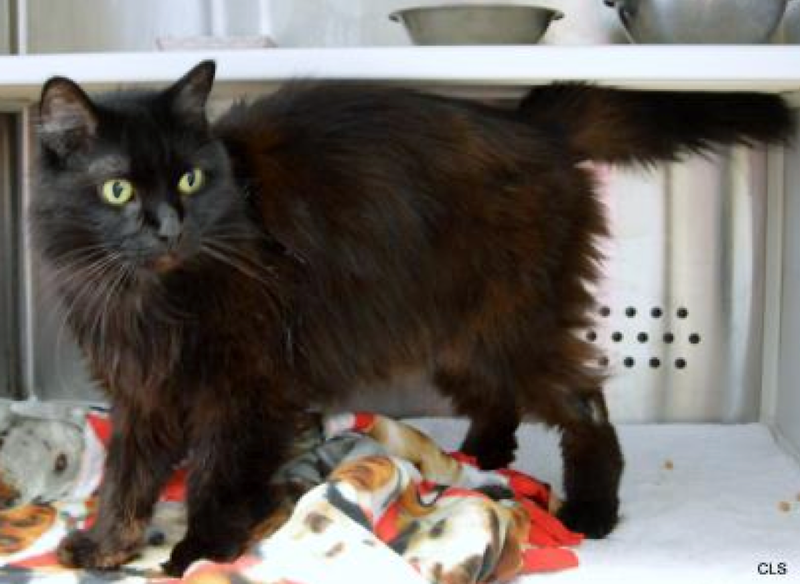 Welcome to our new Thursday series, featuring adoptable Waifs from Allie's Alma Mater, Wayside Waifs! 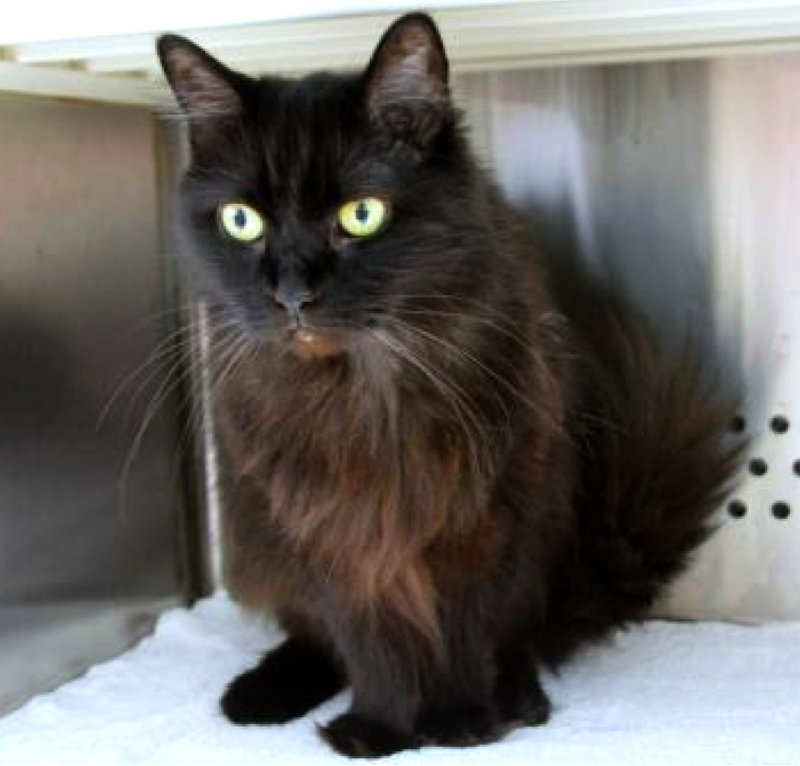 I'm Saber, a luxurious, long-haired, dark chocolate colored kitty with a very soft, sweet meow. I am front-declawed, so I must have been someone's pet before. However, I was brought to Wayside because a nice man found me as a stray, but could not keep me." "He says I'm a wonderful cat who got along well with his children. So, I might be a good fit for a family with kids. I can be shy at first, but I warm up quickly. 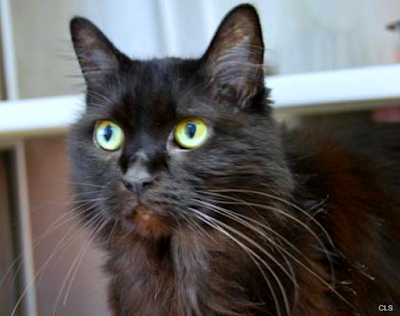 When I had my Felineality assessment here at Wayside, they told me I'm a Personal Assistant. That means I'm moderately brave in new situations, and I love people." "Whatever you are doing: surfing the internet, watching TV or curling up by the fireplace, I will want to be right by your side, ready to lend a velvety paw." "My New Year's resolution is to find my forever person or people. 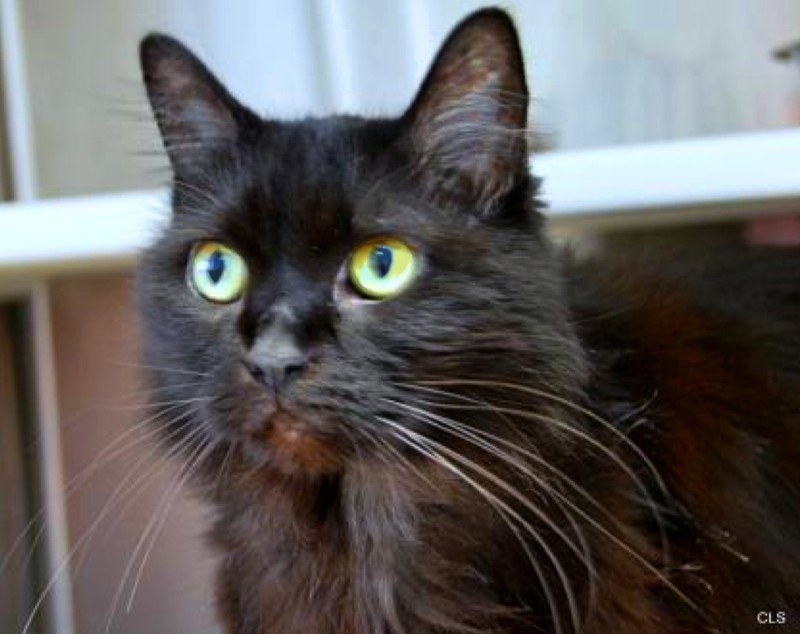 Saber is waiting for you at Allie's Alma Mater, Wayside Waifs. What a pretty kitty. I miss my black cats. You are simply yummy, Saber! Beautiful! One thing I always thought there was a lack of was chocolate colored kitties. They seem a little rare to me. One more reason why you must be extra special! You are adorable. I hope you get your forever home soon. Wow! Saber is gorgeous! I hope someone loves her very soon. Oooh...my mom loves her look! Our paws are full with our two cats now, but she is a gorgeous girl! Gorgeous, floofy furs! She sounds like a sweetie. Hope she find her forever people soon.